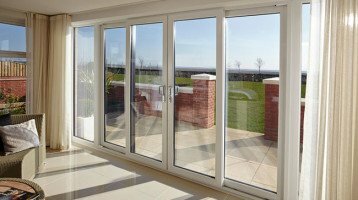 How Cheam Windows Patio Doors Sell – without the Spin. Thinking of a new Patio Door ? Ebb and flow in glazing trends and demand has always affected sales. Today the market faced by installers is tougher than ever. Many firms choose to cut corners to save on costs. At Cheam Windows we invest in supplying only the highest quality products. A good example is our upvc Patio Doors and we supply the PatioMaster product. Cheam Windows have been fitting high quality patio doors since 1991. For many years our industry has relied upon the construction sector as well as home improvements to the general public. The slowdown in the this sector has affected many firms as well as the glazing industry. The slow UK housing market has also had an impact. All this means that times have been tough for many home improvement firms. Cheam Windows however continue to grow and expand. Light and airy living space is still desirable. There is opportunity in the ‘improve, don’t move’ market, even if the sector has a little less cash. The introduction of the Green Deal has helped the home market. The Government’s Green Enterprise and ECO schemes for fuel-poor homes is intended to make energy efficiency measures affordable to all. This hopefully creates sales where there might have been none. It is easy to praise the merits of a patio door to a home owner. It can change a dim room into a light, airy space, and bring the outdoors in. A quality in-line sliding Patio Door can do much more. With increased thermal efficiency an in-line sliding Patio Door can lower energy bills for the home owner. A new Patio Door and a more comfortable warmer home reflects well on the installer. This can lead to repeat orders and recommends. Efficient glazing, good insulation and heating controls form the basis of a low energy home. The Green Deal makes energy efficiency a priority and brings the issue into the public mind. The scheme could allow home improvement where it may not have been financially possible before. Customers will look for a higher quality product with better u-values that show savings on their energy bills. Better security can also be a strong selling point of quality patio doors. Stopping a break-in can save the home owner on costly repairs and lower insurance costs. Cheam Windows are a Double Glazing company in Surrey for Replacement Doors and Windows. 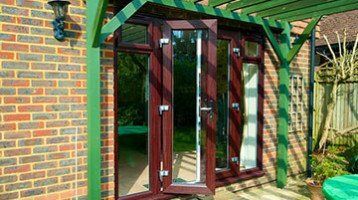 We have been fitting PatioMaster systems for trade and home customers for over a decade. We choose to supply higher quality patio doors to our customers as they are durable and reliable. Our Patiomaster patio doors are quick and easy to install, and we’ve never had a call-back on one them! We believe a lower quality product usually means a poor result and that reflects on us. The PatioMaster patio door is just one of our huge range of products. 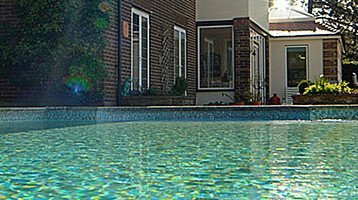 Visit our showrooms in Banstead, Hampton Court and, Worcester Park .